Dr. Matthew Pinto is a local south jersey native, growing up in Voorhees, NJ. He attended high school at Bishop Eustace Preparatory school followed by college at Lehigh University, where he obtained his degree in Behavioral Neuroscience. He received his medical degree from the Philadelphia College of Osteopathic Medicine. Dr. Pinto completed his medical training at Broward General Medical Center in Fort Lauderdale, Florida, where he served as chief resident. He became board certified in Family Medicine in 2003. After practicing in Boca Raton, Florida for three years, in 2006 he relocated back to NJ to work as the medical director of Dermacare Laser and Skin Care in Cherry Hill, a medical spa specializing in cosmetic injections, laser skin treatments, and skin care. In 2007 he left Dermacare to start his own private practice, Glendale Primary Care and Aesthetics in Bellmawr, NJ. After successfully growing the practice to over 3000 patients, Dr. Pinto realized the need to help the majority of his patients, many of whom were overweight or obese, lose weight safely. After extensive training, in 2010 he opened The Center for Medical Weight Loss of South Jersey, a medically supervised weight loss program designed to fill a much needed void in our community. This program includes weight loss methods that are exclusive to the medical profession and is part of the largest network of physicians trained in weight loss or bariatric medicine (www.cmwl.com). 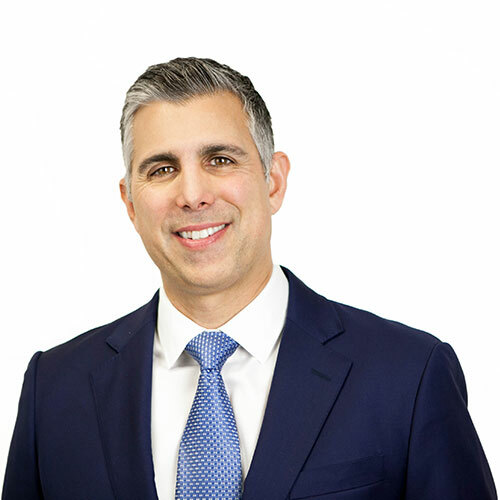 As Dr. Pinto’s experience and passion in weight management grew, he sold his primary care practice to Lourdes Medical Associates and opened Vive Medical Weight Loss and Aesthetics in July of 2012. Dr. Pinto worked part-time still seeing primary care patients for Lourdes Medical Associate (LMAnet.com) where he also served as Medical Director of this 50 physician multi-specialty group from July 2012 until October 2014. As of July 2012, Vive is the only location he practices weight loss and aesthetic medicine. Besides his expertise in weight management, he is an expert in cosmetic injections, such as Botox, Juvederm, and Voluma, along with other aesthetic treatments. In 2014, Dr. Pinto was appointed national medical director of the Center for Medical Weight Loss. His expertise in weight management and his experience with educating and training other physicians in bariatric medicine have made him a nationally known expert and he is excited to lead CMWL into the future. In January of 2015 Dr. Pinto became board certified by the American Board of Obesity Medicine. Being double board certified in both Family Medicine and Obesity Medicine sets Dr. Pinto apart from his peers. His hobbies include golf, fitness, cycling, and cooking. He is actively involved with the Testicular Cancer Awareness Foundation promoting awareness of the leading cancer in men under 40 years old and is a survivor of this disease. He has participated in the MS150 City to Shore Ride multiple times with his cycling club, WWW.TEAMEVESHAM.ORG, a local cycling club that focuses on promoting cycling as a means to good mental and physical health while raising money for multiple charities. He is an active member of the Marlton and Medford community.